This sprawling 7,160 +/- ft fully custom home is simply impossible to describe in words with every component hand-selected by the owners. 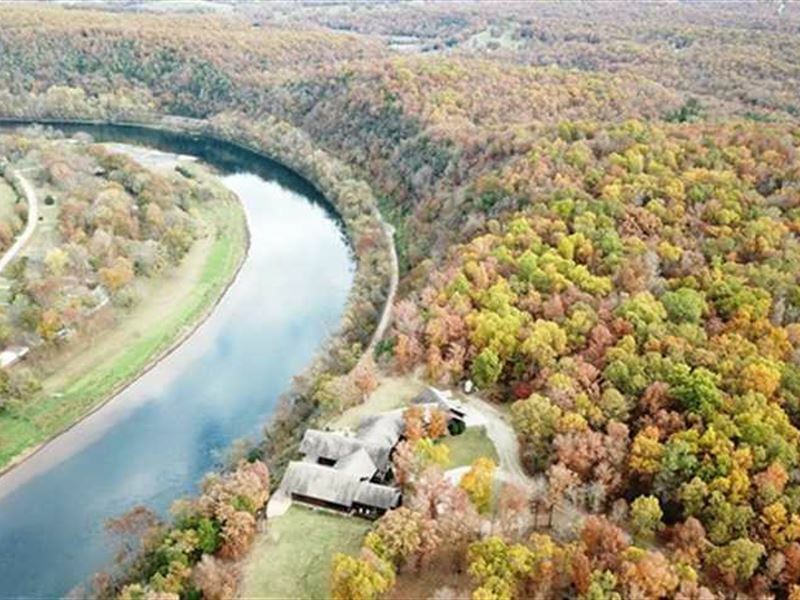 This prestigious home is located just outside Mountain Home, Arkansas in Baxter County. One of the more pronounced features as you'll notice in the drone images is it's position on a bluff directly above the White River which provides a stunning backdrop for morning coffee and evening dinners on the 130' porch. It is constructed of 8 x12 Western Red Cedar with Douglas Fir ceiling beams, it has custom furnishings throughout, stainless Electrolux appliances with a Viking gas range, dual fuel zoned AC and heat, Clawson Windows, custom hickory cabinets, solid Knotty Alder doors throughout, recessed lighting, and a large fireplace with blowers just to name a few of the amenities. All of the furniture is truly one of a kind that cannot be purchased in any store. The sellers are meticulous to the point of literally flying around the country hand-selecting the logs and all other elements within. It has a large master bedroom plus five Guest Suites each with its' own full bathroom. The best part is you have several options with this place. This property is perfectly suited as an Executive Retreat for any large company. Multiple families going in together for a vacation home is also a great option. With the 8.51 surveyed acres that convey there is ample room for additional structures, shop, or just to enjoy the solitude. In addition to the White River there are many large water bodies nearby including Norfork and Bull Shoals for the summer lake goers. The local airport is only 13.5 miles away and the Branson, MO airport is only 78 miles for easy air travel. For more information contact Executive Broker for more information at.